For Terri Barr, making the leap from civil engineering technician to flower grower was a natural move. She had farming in her blood, a lifelong love for gardening and a desire to work outdoors. The result is Wild Lark Farm in Claremore, Oklahoma, which she started in 2018 and is building from the ground up. She’s growing specialty and heirloom flowers – mums, old-school lilacs and sunflowers among them – on about an acre of the 40-acre spread where she lives with her husband and their three children. It’s a former cattle pasture with clay-like soil that she’s slowly transforming into an organic, sustainable growing operation. But her path to becoming a flower farmer, and earning Certified American Grown status, is decidedly indirect. She grew up on a farm in Kansas where her family grew corn, wheat, milo and soybeans. She went to college in Oklahoma and graduated with a degree in interior design. But instead of designing rooms, she went to work as a technician in a civil engineering firm. She put her drafting skills to work in designing infrastructure – water lines, sewer lines, parking lots. But despite working for a company she liked and with “fantastic” colleagues, she knew she wanted to be outdoors. The turning point came in 2017 when she attended a floral workshop in the Mount Vernon area of Washington. It was there that she found what she was looking for. She was with flower people from all over the United States and enjoyed hearing their stories. Everything about it was a good fit. Photos provided by Wild Lark Farm. As a daughter of farmers, she knew what she was getting into. But it’s where she’s found fulfillment. She got her first customer by walking into a new florist shop in Claremore with some of her flowers in a bucket. Those florists have given her a foot in the door and something to build on. In the meantime, she’s building an organic, sustainable operation. Although she could draw on her farming background, she knew she couldn’t farm like her parents. Practices had evolved and she was adamant about it being organic. “For one, I have kids and I don’t want all the chemicals and the pesticides out there. I want people to be able to walk out there and be able to touch and can smell everything. So they know what they’re getting is the real deal. In addition, she feels an obligation to Oklahoma tradition to leave the land better than she found it. Three to five years down the road, she would like to have a farm she can share with the public. She follows other farms on Facebook and Instagram and sees that many of them keep their operations closed to the public. DVFlora, one of the largest floral importers and distributors in the United States, has become the first wholesaler to earn Certified American Grown status. This latest certification of DVFlora by Certified American Grown marks a notable shift from the program’s focus on farm production to now include the floral industry’s supply chain process and related companies. DVFlora is now the first Certified American Grown wholesaler. “With over half of all domestic production now participating in Certified American Grown, the program is in a great position to bring valuable marketing opportunities to our wholesale partners like DVFlora,” explained Certified American Grown Administrator Kasey Cronquist. For 60 years, DVFlora has provided wholesale flowers, floral supplies and botanicals to professional retail florists and event designers nationwide. Headquartered in Sewell, New Jersey, the firm offers one of the largest “loose pick” operations in the U.S. DVFlora ships by ground or air from its New Jersey HQ, as well as from offices in Oxnard, California, and Miami, Florida. Announcing their new certification, DVFlora.com will now provide their customers a dedicated and filtered directory that guarantees their purchases will be Certified American Grown Flowers and Greens. DVFlora’s unique operation and systems allowed the company to meet the certification standards and pass the third-party onsite audit process required to achieve Certified American Grown status. DVFlora’s identity preservation system has been third-party audited and verified by Where Food Comes From to guarantee customers that DVFlora can accurately segment, track and maintain the brand identity of American Grown Flowers and Greens from farm to customer delivery. With an iconic logo and representing over half of domestic production, Certified American Grown provides the only origin and assembly guarantee in the floral industry. 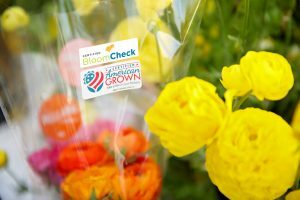 Launched on July 1, 2014, Certified American Grown Flowers represents a unified and diverse coalition of U.S. flower farms, including small and large entities in multiple states across the country. 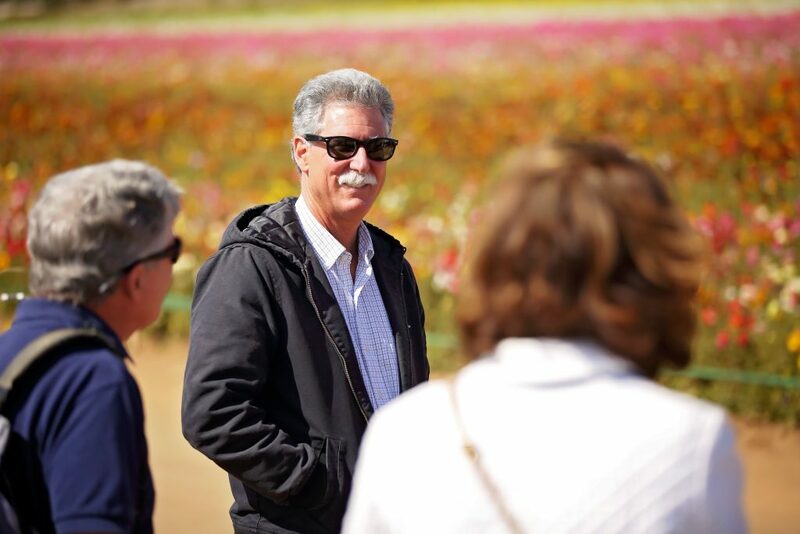 Certified American Grown flower farms participate in an independent, third-party supply-chain audit to verify both origin and assembly of the flowers they grow. When it appears on bouquets, bunches and other packaging or store signage, the Certified American Grown Flowers logo gives consumers confidence in the source of their flowers and assures them that the flowers they purchase come from a domestic American flower farm. For more information about Certified American Grown Flowers, visit www.americangrownflowers.com. Where Food Comes From, Inc. is America’s trusted resource for third-party verification of production practices and is the exclusive provider of Certified American Grown certifications to the floral industry. Through proprietary technology and patented business processes, the company supports more than 15,000 growers, farmers, ranchers, vineyards, wineries, processors, retailers, distributors, trade associations, consumer brands and restaurants with a wide variety of value-added services. Through its IMI Global, International Certification Services, Validus Verification Services, SureHarvest, A Bee Organic and Sterling Solutions units, Where Food Comes From solutions are used to verify food claims, optimize production practices and enable food supply chains with analytics and data driven insights. In addition, the company’s Where Food Comes From® retail and restaurant labeling program uses web-based customer education tools to connect consumers to the sources of the food they purchase, increasing meaningful consumer engagement for our clients. With her roots deep in the soil of Texas, it was perhaps inevitable that Rita Anders would end up a farmer. After all, she grew up on a dairy farm in Weimar, Texas, where her grandfather started farming in 1937. Her family also grew peaches and pecans. All photos courtesy of Cuts of Color. What wasn’t so inevitable was that she would become a flower grower, a wedding flower designer and an advocate for locally grown produce. All that came from within her. The result is Cuts of Color, a thriving Certified American Grown flower farm 90 miles west of Houston that produces a wide range of flowers that are harvested year-round. Anders took an indirect route to get where she is now. Out of high school, she went to work at a building supply store. It wasn’t what she wanted to do, but she learned an important lesson – she didn’t like working for someone else. “There were all these stupid rules and I just knew I liked working for myself,” she said. Her grandfather had started growing greenhouse tomatoes and he offered Anders the chance to take over the operation after he retired. What she did was steadily expand the operation. It was not until the early 2000s that flowers were even in the picture. But a convergence of events brought Anders’ latent affinity for flowers to the forefront – she was weary of growing tomatoes and a spike in butane prices made her greenhouse operation far less profitable. On top of that, her children were leaving the nest. It was the rise in butane prices that gave her the big push to trade tomatoes for flowers. But it was not an easy road. With children in college, she took on a full-time job in addition to her farming operation. And she had to teach herself about growing flowers. “We don’t grow tomatoes here in the summer because it’s too hot,” she said. “So, every summer for two or three years I’d read everything there was about flowers. I just decided to read up on flowers and see what I could do with it. And then I joined the Association of Specialty Cut Flower Growers. I learned so much from them about what to grow, when to grow it. I just learned from people. That’s how I did it. But Anders minimized the cost of those mistakes early on. She first started selling her flowers in some of the same stores where she sold her tomatoes. She then branched out to a farmers market in Houston. She also sold to florists and made deliveries. After customers suggested she start providing flowers for weddings, she taught herself how to do it. She read, watched YouTube videos and got some tips from one of her florist customers. She also drew on some long-ago lessons. The wedding flower business eventually grew to the point where she had to start turning away customers. In 2012, she landed a contract to supply flowers to Central Market in Houston, a place shedescribes as “a Whole Foods but on steroids.” That has proved to be a good fit – the market likes her locally grown bloomsand eco-friendly approach, and she likes the steady business. She delivers flowers there twice a week and the store now accounts for about two-thirds of her business. In addition, she offers farm tours and design workshops. She also sells directly from the farm. Cut of Color’s Facebook page regularly offers $10 bouquets for pickup at the farm. With her kids grown and her husband retired, she can see the next phase of her life on the horizon. What that holds, however, isn’t clear. Perhaps a family member will eventually take it over. At Red Twig Farms in New Albany, Ohio, old-fashioned farming has met the Instagram age. But it didn’t start out that way at this Certified American Grown flower farm. In 2010, the McCullough family opened the farm as a place to grow willow and dogwood branches for the family’s landscaping business. But that was a one-season crop and there was unused acreage. Josh andLindsey McCullough have grown Red Twig Farms using the modern tools of social media. Photo by Bob Stefko. The next year, the family added peonies, which were a hot commodity at that time. When the peonies were mature in 2014, the family sold to florists and wholesalers as well as at local farmers markets. But the peonies didn’t fare well at farmers markets where the warm temperatures caused them to open up and rendered any leftover inventory unsellable. That’s when the family decided to create a farm store on its property and try to get people to come to the peonies rather than taking peonies to the people. That way, the flowers could be kept in a controlled environment at optimal temperatures. The missing part of the equation was how to get people to the farm. That’s where social media came in. And it was the second generation of the McCullough family running the farm – son Josh and his wife Lindsey – who spearheaded the push. Lindsey handles the farm’s marketing while Josh attends to the growing operation. The farm kicked off the opening of its farm store in 2016 with an event to mark the opening of peony season. Lindsey, who has a degree in marketing and e-commerce, took to Facebook to promote the event. That first year, 168 people came out. The event has continued to grow. More than 2,000 people attended in 2018. The season opener was just the first of the farm’s successes that got an assist through social media. In March, the farm started a subscription service where people could sign up for weekly deliveries of peonies during the season for two to five weeks. The goal, Lindsey said, was to get flowers to customers in nearby Columbus who had expressed via Facebook messages that they wanted peonies but didn’t have time to get to the farm. The service started with a goal of 50 customers; the farm had to stop taking new customers after 94 people signed up. The farm’s VIP Peony Harvest Experience has also been a hit. The event, limited to 40 people, takes participants into the fields that are usually closed to the public, and Josh explains the ins and outs of growing peonies. Those on the tour are then allowed to harvest two dozen peonies themselves. The first year the event sold out in two hours. “They do everything we do and they have a blast doing it,” Lindsey said. Social media also has played in recruiting workers. When the farm needed staff for its farm store, the word when out via Facebook. It was customers who responded and were ultimately hired. For Lindsey, who better to sell the farm’s product than happy customers. As much as modern marketing methods have played a role in its success, one of the farm’s goals is to remind people of the natural rhythms of agricultural life. Red Twig Farm posted a great example of their pride in the program on their Instagram page. The farm, which has grown from harvesting 8,000 peonies in 2015 to 30,000 in 2018, aims to continue expanding its offerings. The goal is to build up the subscription service with new flowers, which would allow the service to operate in March and April in addition to the peony season in June. Daffodils, tulips and ranunculus are among the possibilities. Flowers will be planted this fall for early spring harvest. “There’s a whole list of flowers that we’re looking at and saying to ourselves, ‘Can we do this?’” she said. Of course they will! We can’t wait to see what Red Twig Farm will do next. When Jumana Madanat Misleh was hired in May to be the voice for Certified American Grown in Washington, D.C., it didn’t take her long to get up to speed on the issues facing America’s flower farmers. Jumana Misleh (far left) attended this year’s First Lady’s Luncheon along with Certified American Grown representatives shown here with Second Lady Karen Pence (center). Also pictured from left to right: Kasey Cronquist, Benno Dobbe, Second Lady Karen Pence, Pamela Arnosky, Kelly Shore and Klazina Dobbe. In her previous job at a Washington law firm she had handled the group’s legislative efforts in the capital. She came out of “early retirement” at the request of Certified American Grown Administrator Kasey Cronquist. Rene Van Wingerden of Ocean Breeze Farms with Jumana Misleh at the CCFC Annual Dinner in November 2018. Photo by Linda Blue Photography. Helped lead an effort to reinstate the USDA’s annual floriculture survey after it had been eliminated two years previous due to budget cuts. 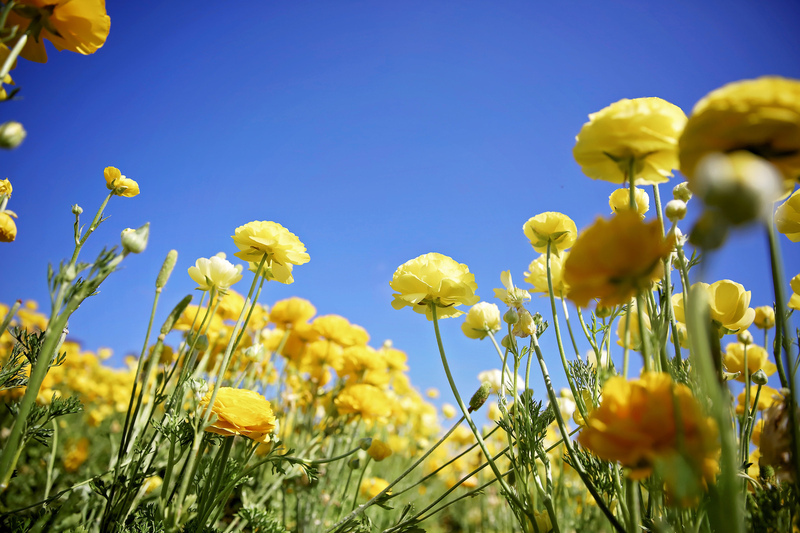 The survey provides American farmers with information about flower-growing trends and gauges the sector’s economic impact and for the first time will include Alaska, Colorado, Connecticut, Virginia and Wisconsin. Secured an invitation for a Certified American Grown delegation to attend the White House Economic Summit in September. It was billed as a conversation with President Trump, but he was forced to cancel by the confirmation hearings for Supreme Court nominee Brett Kavanaugh. Still, the event featured high-level administration officials including Treasury Secretary Steven Mnuchin, economic adviser Larry Kudlow and White House adviser Ivanka Trump. It was the first time Certified American Grown had been invited to such as event. Reengaged an effort to bring about enforcement of an existing law that requires imported flowers to be identified by their country of origin on consumer packaging. Misleh has gained the support of a congressman who is pursuing enforcement of the law. Increased support for the annual resolution by the U.S. House of Representatives declaring July as American Grown Flower Month. Sponsors of the resolution increased from seven representatives in 2017 to more than 57 in 2018. Misleh then convinced some sponsors of that resolution to become members of the Cut Flower Caucus, a bipartisan group of House members that support the interests of flower growers. Helped grow the Congressional Cut Flower Caucus, a bipartisan group that supports the interests of America’s flower farmers. Renewed an effort to convince the White House to use only American Grown flowers at the White House. That has been a longtime goal of Certified American Grown. Misleh’s ultimate aim is for all federal agencies to be required to use American Grown flowers at their events. Misleh has accomplished all this through her contacts cultivated through her years as an attorney in Washington, D.C., and a don’t-take-no-for-an-answer approach. Jumana Misleh (center) leads a meeting between farmers and a congressional staffer. “Really, it’s a lot of relationship-building and working with people who have an interest in our issues,” she said. With Certified American Grown as her only client, Misleh said she is free from conflicts faced by lobbyists working for multiple agriculture interests who do a balancing act to ensure they are not alienating someone in pursuit of another client’s interests. Misleh says she’s part of a new generation of Washington lobbyists. “I’m willing to cold call. I’m willing to walk into the office of someone I don’t know for the sake of my client. The perspective of a lot of people is that you have to do things in an orderly fashion – ‘you can’t call that office, you have to call the guy in the office below him’ – out of respect for hierarchy. Misleh has worked to see where flower farmers’ interests have aligned with the Trump administration’s policies. Her efforts to get the White House’s ear on flower-growing issues began in June when she made contact with an official there through a longtime mentor. The relationship blossomed at a time when much of American agriculture was opposed to Trump’s policies. 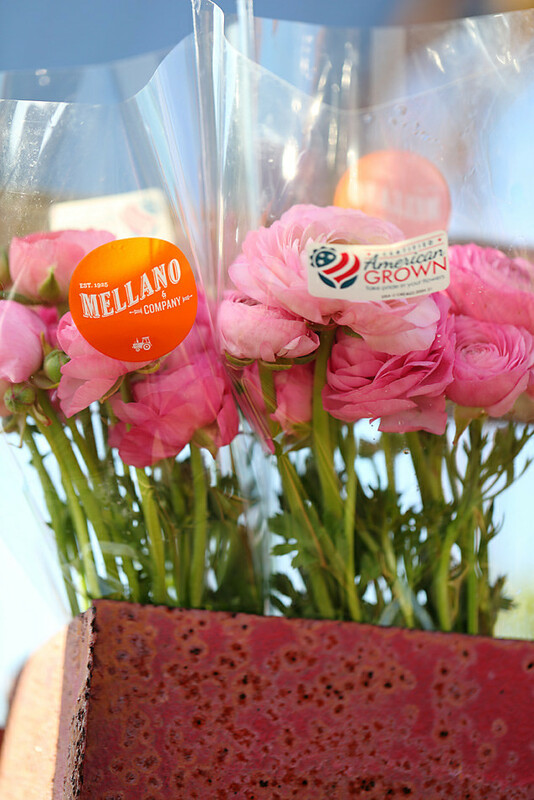 But the administration’s efforts to level the playing field with foreign producers meshes with the interests of American flower farmers, Misleh said. That led the White House to request a statement of support for its trade policies that Misleh and Cronquist drafted. The result has been an ongoing relationship with the White House. Certified American Grown Council member Ko Klaver at the White House Economic Summit. It was also that relationship that led to the invitation to the White House Economic Summit. Andrea Gagnon, Certified American Grown Council member also joined Kasey Cronquist at the Economic Summit. Misleh urges flower farmers to come to Washington for the annual fly-in in February (24-26). It will give them a chance to talk to members of Congress and have an impact on issues that affect them. Jumana has had a history with our farms, attending meetings with flower farmers and members of Congress in Washington, DC as far back as 2012. Misleh said last year’s big showing from America’s flower farmers was the single most important factor in getting the USDA floriculture survey reinstated. Thanks to Jumana’s leadership, last year’s team of flower famers were able to elevate the issue for reinstating the annual floriculture report directly to USDA NASS officials and worked with members of Congress to help secure the funding necessary for its reinstatement. A big turnout in February also will help efforts to rebuild the Congressional Cut Flower Caucus, which lost eight members in the recent midterm elections due to retirements and election losses. February’s fly-in will feature a briefing at the White House as well as meetings with the Congressional Cut Flower Caucus and USDA officials.